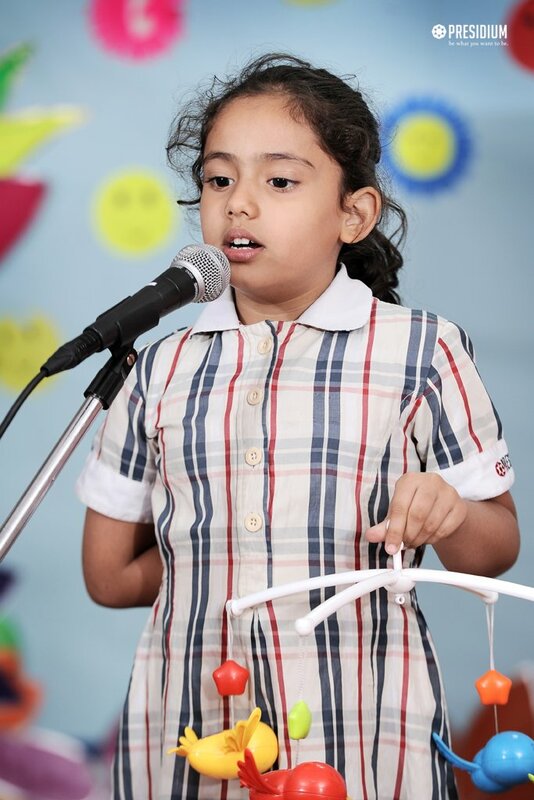 Taking this view into account, Presidium Faridabad organized an English Recitation Activity for the students of Grade II. 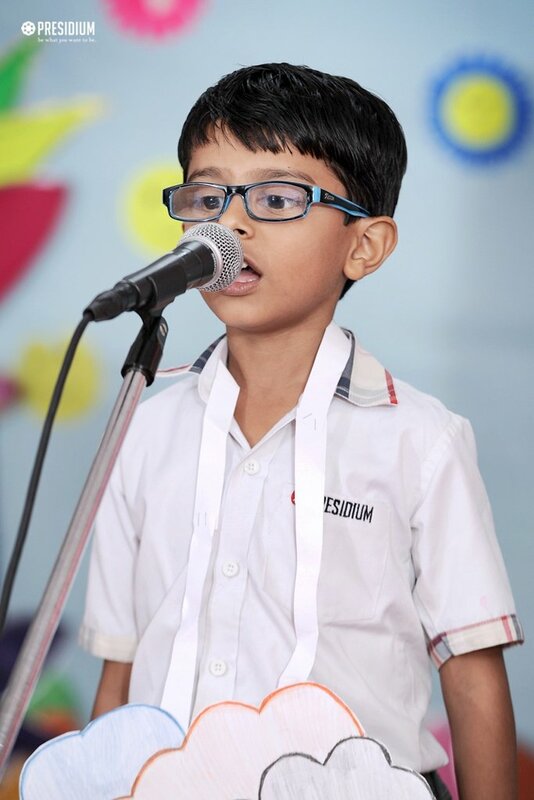 The event not only aided in developing narrative skills and phonemic & physical awareness but also helped in building up rhythm and self expression. 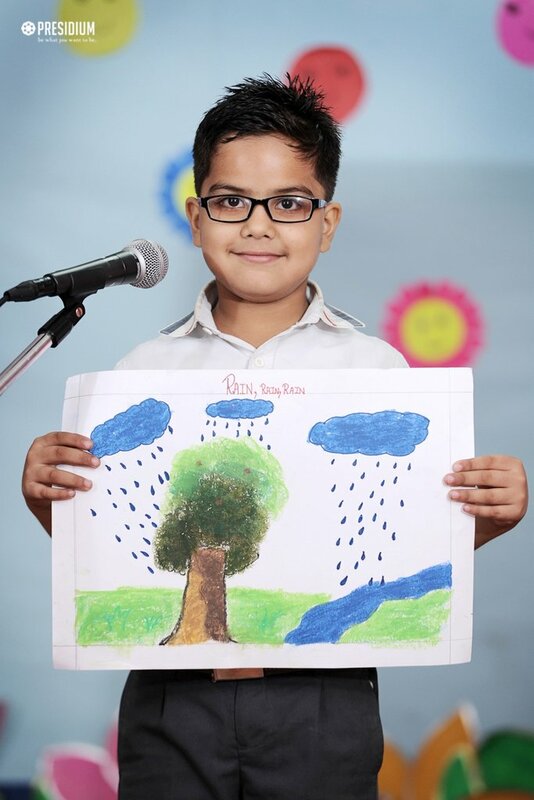 The young leaders got an amazing opportunity to allow their true feelings to flood onto a piece of paper. 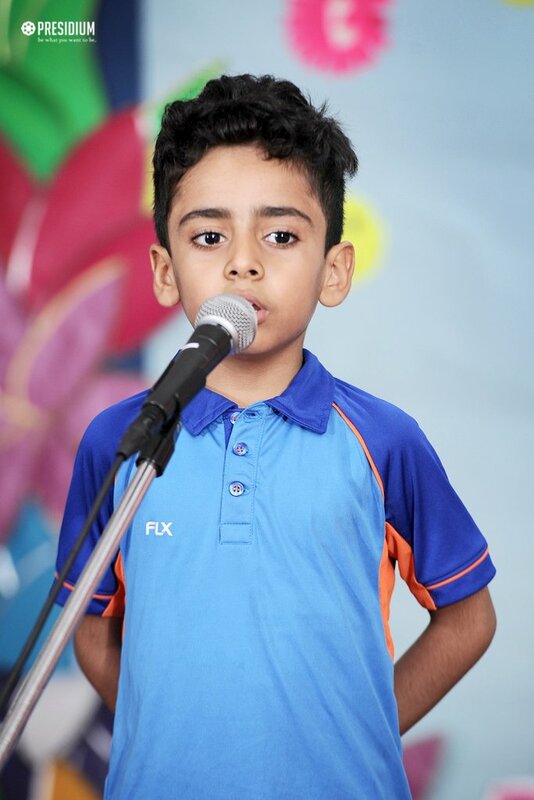 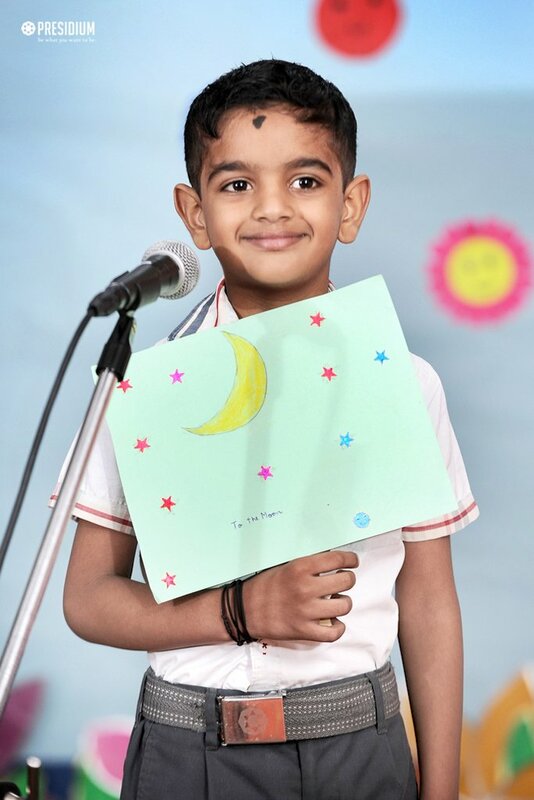 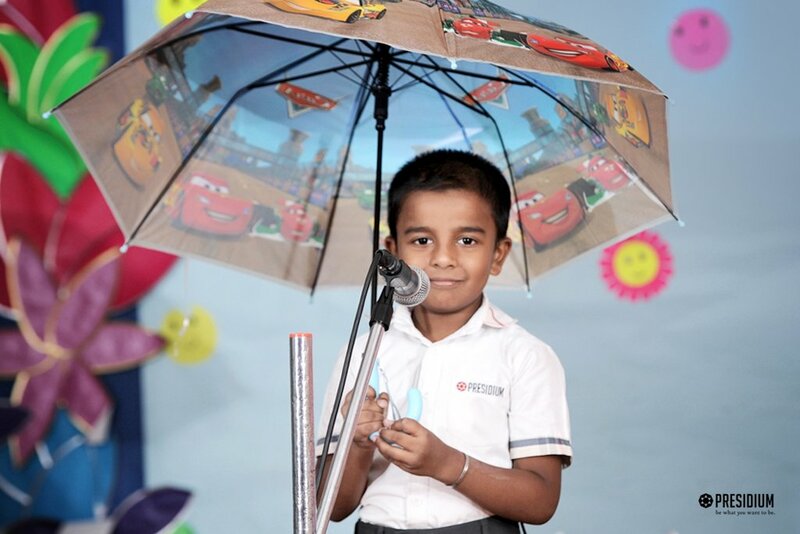 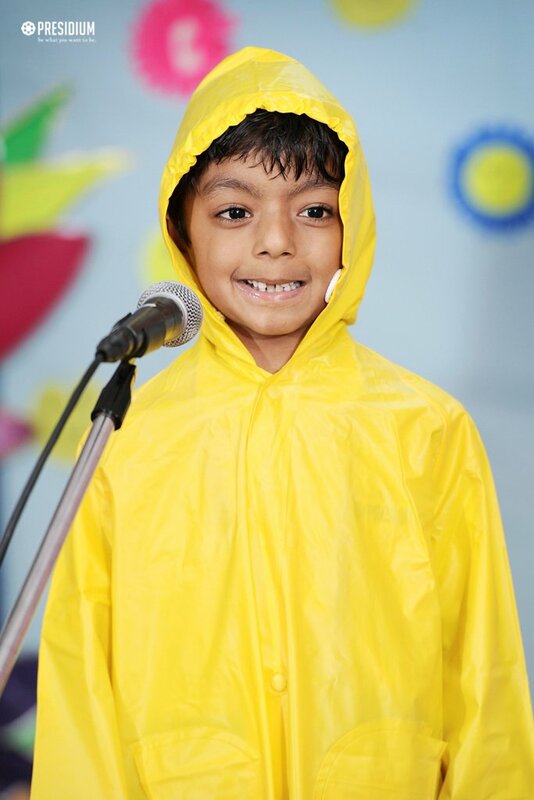 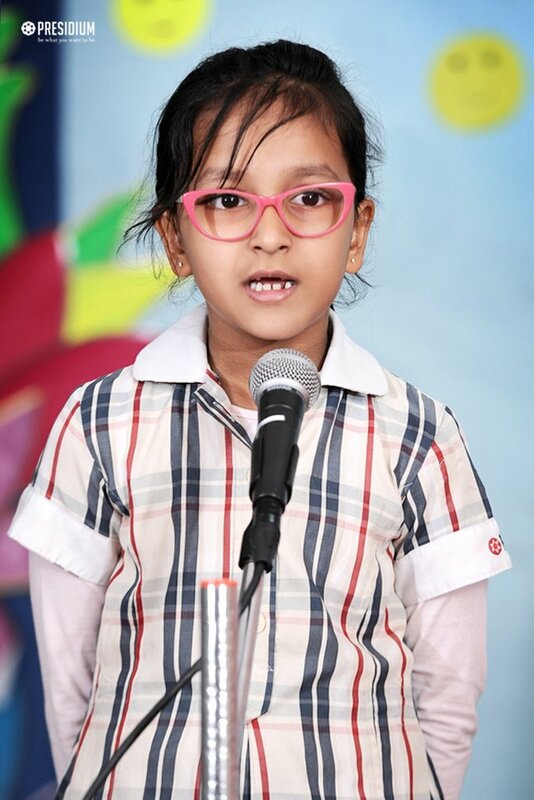 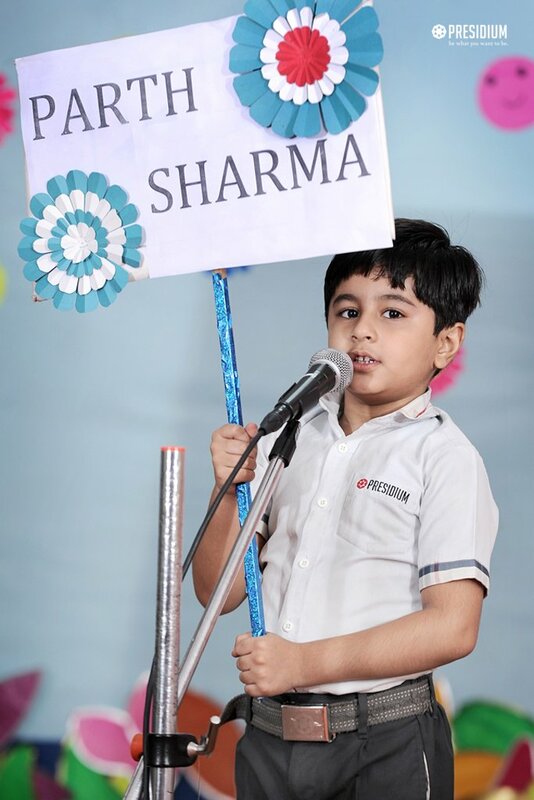 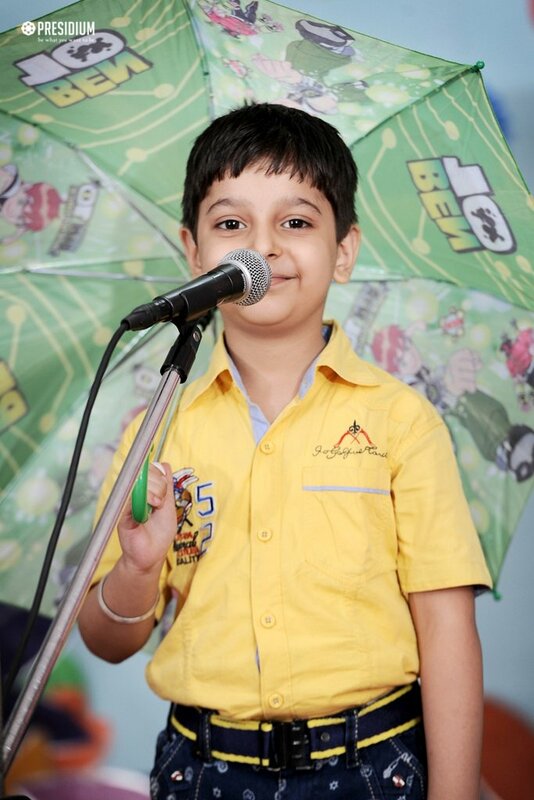 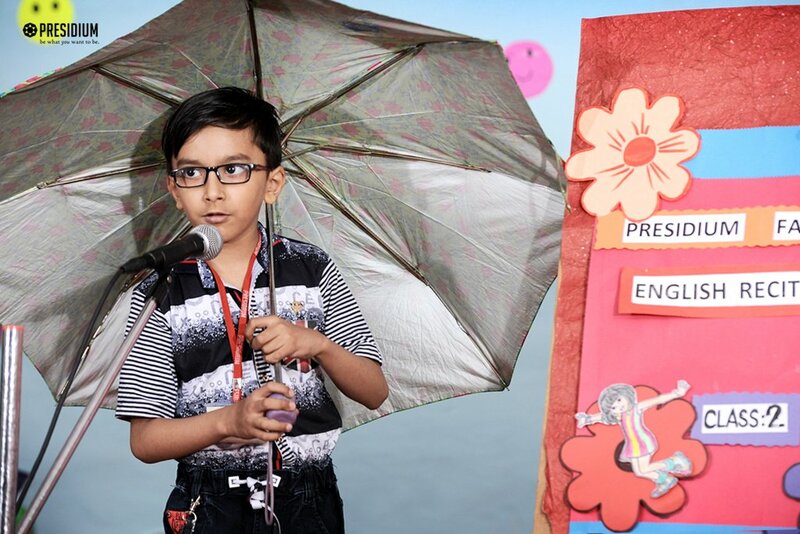 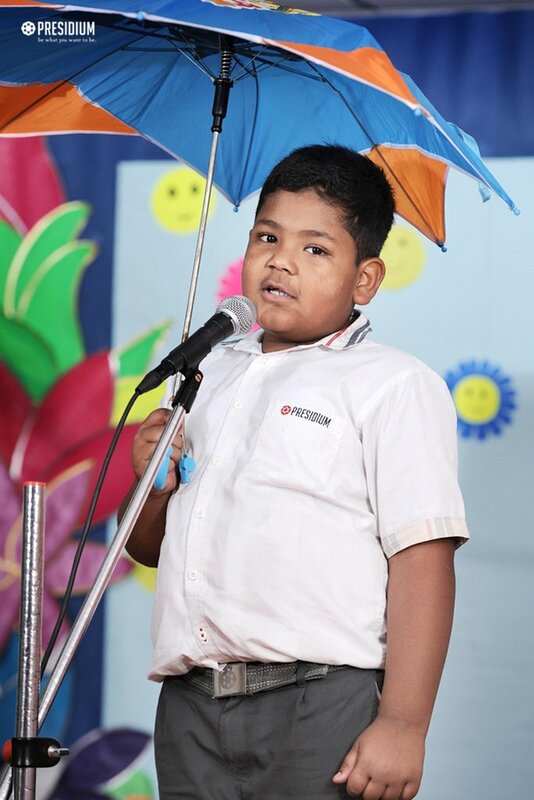 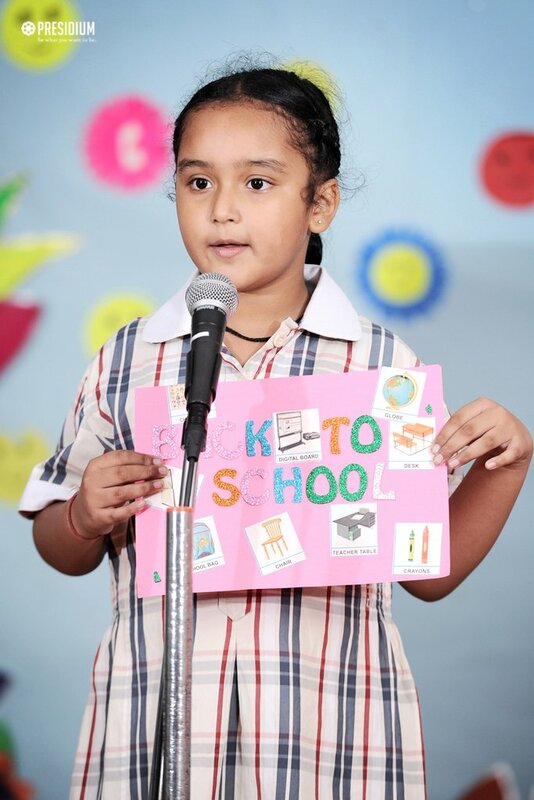 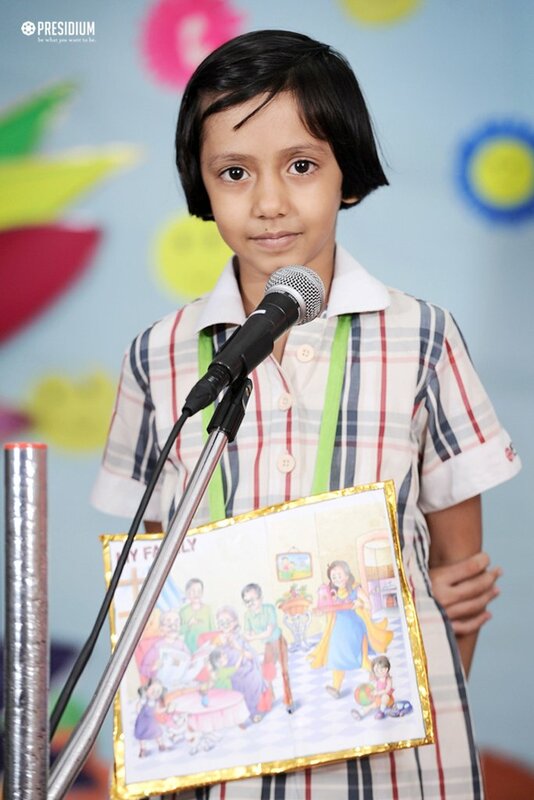 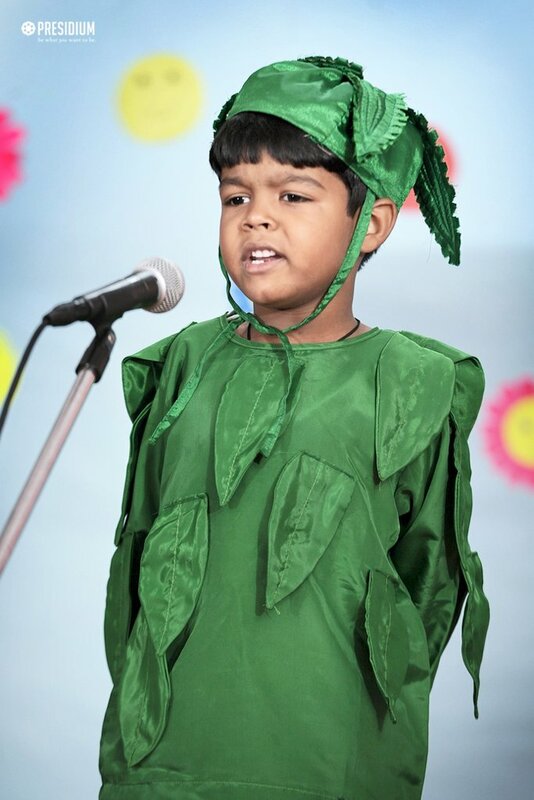 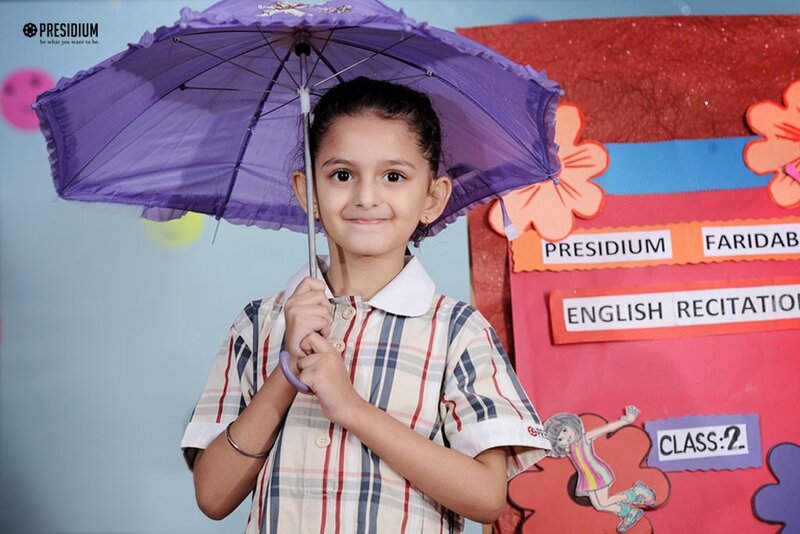 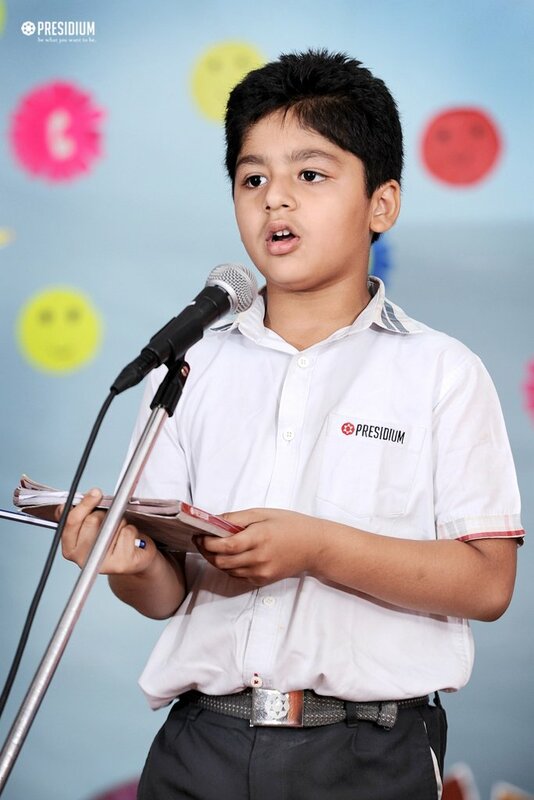 Flaunting their linguistic skills by reciting an English rhyme in front of their teachers and classmates, they enlivened the event with their mesmerizing creativity, voice modulation and expressions. 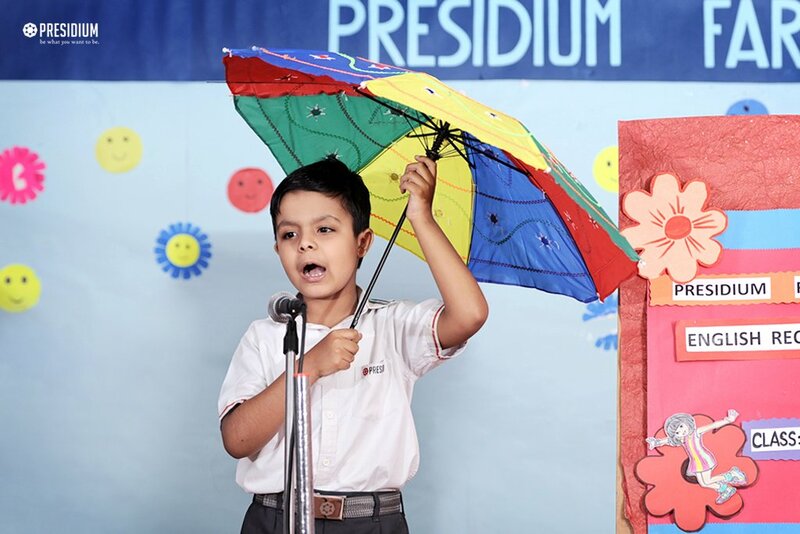 Providing the Presidians an opportunity to build confidence to face the audience, this activity proved to be an immersive learning experience.